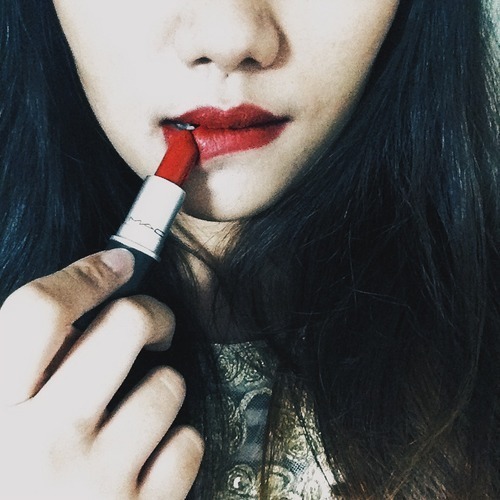 Growing up, I was made to believe that red lipstick means being associated with the term "flirt" or an "sl*t" because the color red was too bold and sophisticated for an average lady. 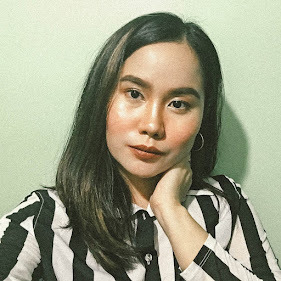 As a teenager, I have dared trying out red lipsticks, but with that negative connotation in mind, I always thought that it wasn't meant for me. I was always a pink lipstick kind of girl back then. 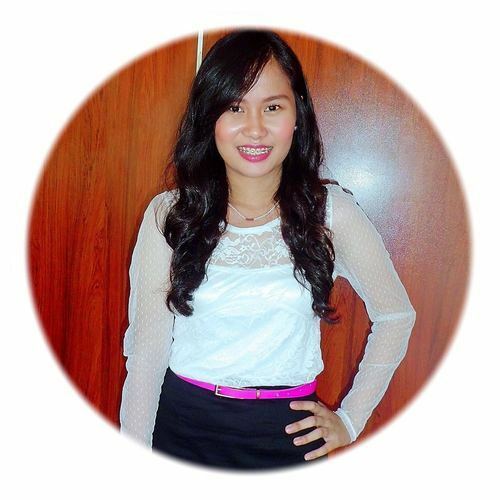 I only wear light pink shades, because I believe, I was still under that negative connotation about red lipsticks... 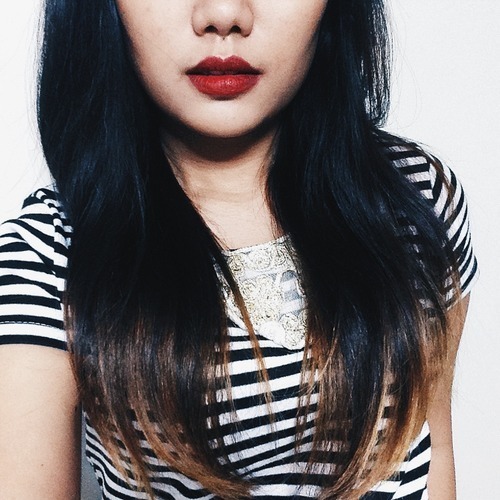 I only got to embrace the red lip until last year--when I finally had the courage to have my first ever red lipstick. It was the first step to my love for the reds, and I started it off by buying the first red lipstick I saw from the drugstore--not matte, because I have always had chapped lips, so I figured having a matte lipstick for my first red one is going to be harder. 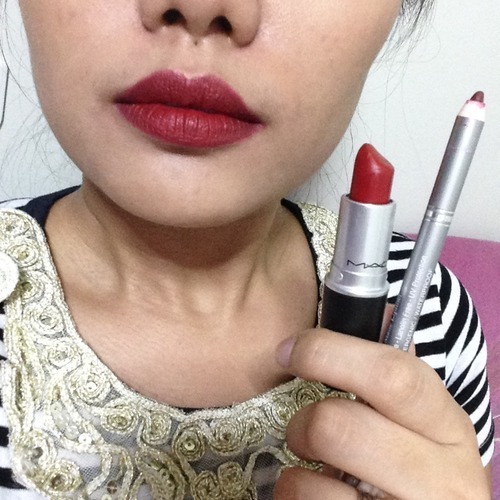 So from using it here and there, I got to fall in love with red more and more, until I finally told myself that I am ready for a matte lipstick! 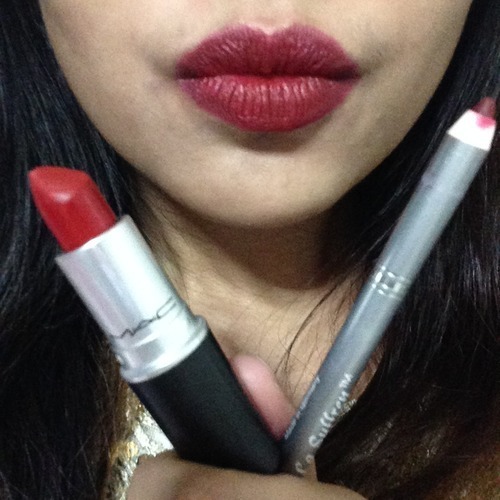 Girl, you can never be wrong with Mac Cosmetics' matte lipsticks! 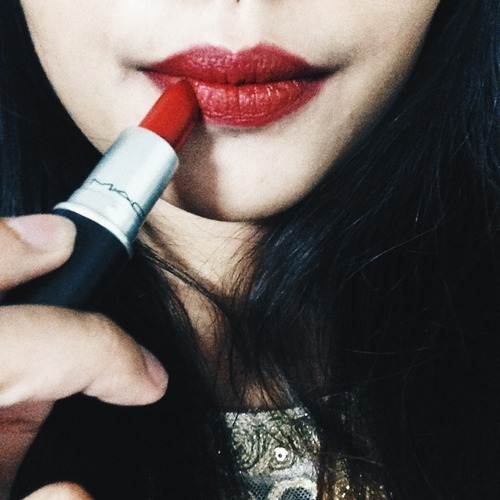 My forever favorite right now is Russian Red, as it goes well with any skin color (a must try though for light complexioned ladies out there is Mac's Lady Danger, as it really is a sophisticated color. But since it is a retro matte finish, it will make your lips extra dry). 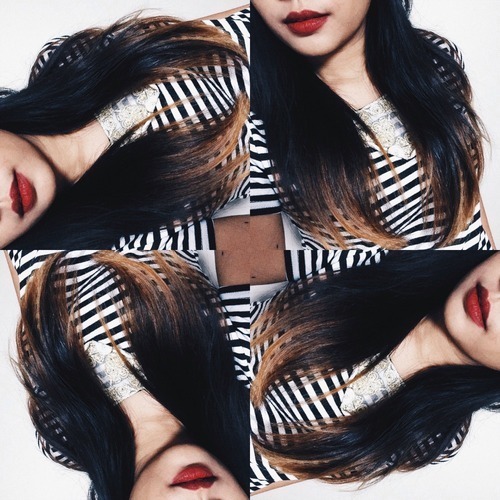 Whether be it light, fair or dark, this shade can look good on you. However, this lipstick makes your lips extra dry (because of its matte finish), so might as well swipe one or two balms on those lips. I use EOS lip balm as it really moistens your lips before applying a matte lipstick. 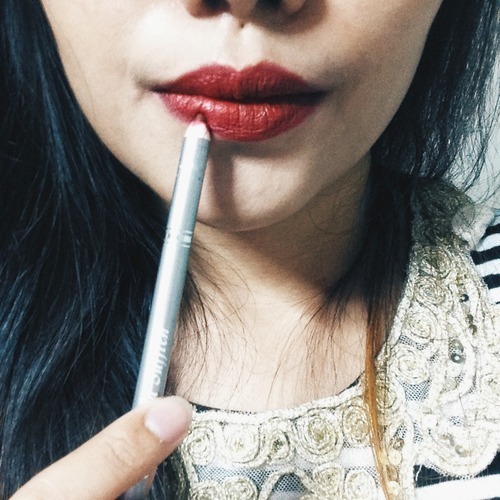 Lately, though, I came across this lip liner I bought from our trip to Hong Kong last year (bought it from Sassa, TST HK, but it's made in Germany!). I haven't used it since--so I thought, why not try it. 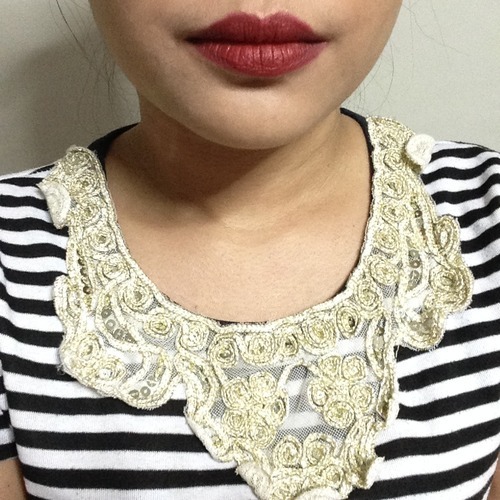 Not knowing if it's of the same shade with Russian Red, I applied it anyway on the outline of my lips, and voila! It perfectly lined up my lips, but not only that, but it also helped my lipstick to stay together and not mess up. What I even discovered was when I applied the lip liner on top of my lipstick, it made my lips more smudge-proof and longer lasting! Friends even complimented my lipstick, saying they love the shade of my lipstick, or that red lipstick looks good on me. Can't blame them though, as I completely agree with them ever since I discovered this trick. I am not aware if this was already shared, but I really don't know anything about this before. 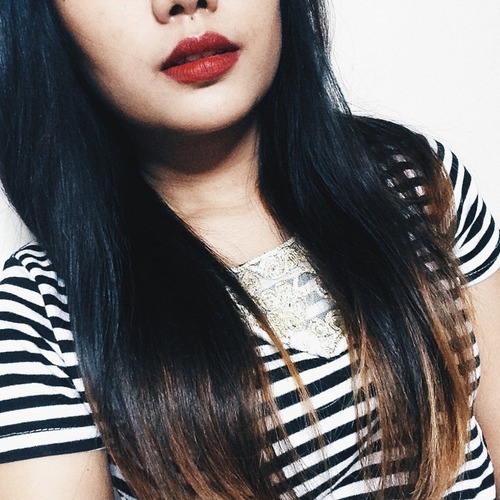 I just accidentally tried applying lip liner over my lipstick because the shades don't match well, so I decided to just mix them up instead--and voila. 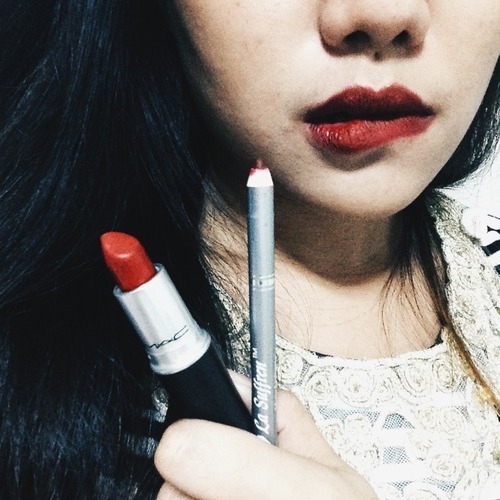 This made my red lips prettier and bolder! BEFORE: Russian Red with EOS lip balm as a base. No filter. AFTER: Mac Russian Red mixed with lip liner. Ever since I discovered this trick, my lips became photogenic. LOL.